Like most literature-based curricula with a Christian worldview, we study history chronologically, beginning with Creation. But most of them rotate through history every four years. 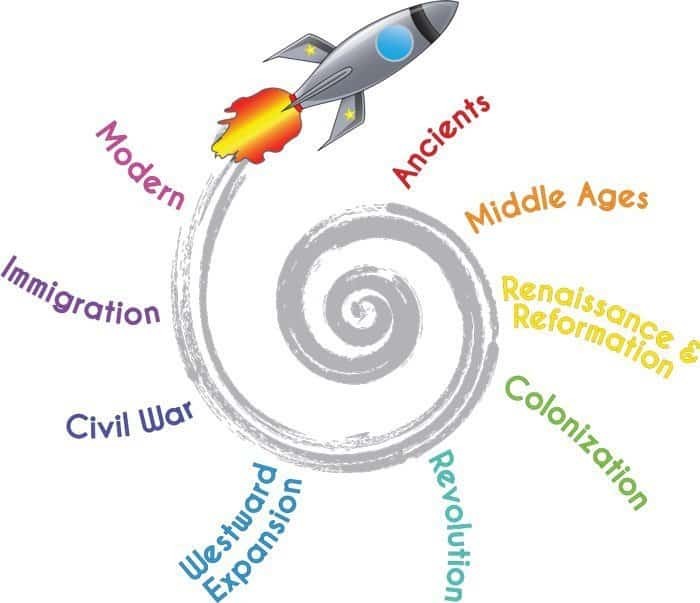 We initially tried that history cycle with our kids, too –but unfortunately, by the time the Ancient period rolled around again four years later – my younger kids didn’t remember a thing! So we follow a different history rotation with our curriculum. 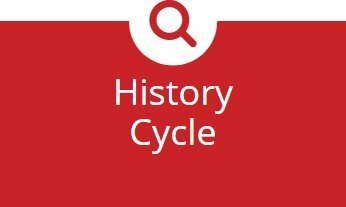 In fact, we repeat the history cycle each year. After a year, even your youngest children will recall that the Middle Ages were the time of kings, knights and castles. They will remember enough the next year to be able to connect new information to the old information…which is the way we learn. Each year you may study different aspects of each historical period: One year, focus on the daily life or the prominent people. Another year, the battles or the technological and scientific achievements. It’s your choice! Year builds upon year, layer by layer. You go deeper and deeper into each time period – you just do it over the years instead of studying one period at a time for years on end. The lively pace of moving to fresh material more quickly keeps students engaged and helps them (and their teachers) better understand the flow of history. How events and people in one part of the world affected another. How the Black Death that started in Asia, for example, helped to pave the way for Europe’s renaissance. 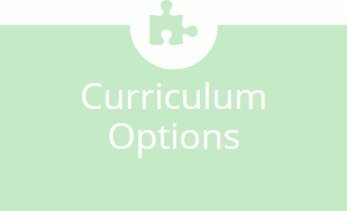 NEXT, look at our Curriculum Options. 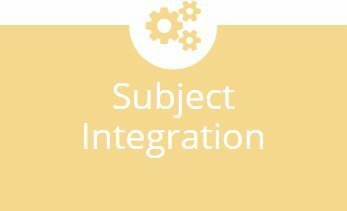 Whether you prefer unstructured curriculum tools or “open and go” curriculum, we have you covered!